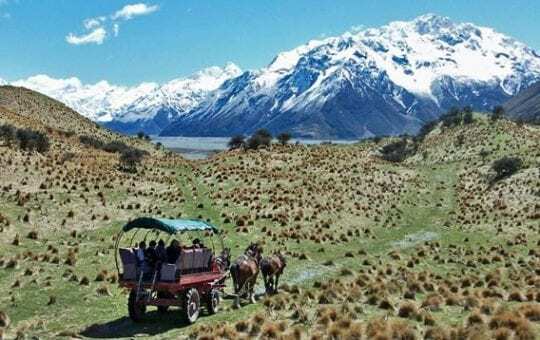 Based in Christchurch, PureTrails New Zealand has been operating cycling New Zealand tour holidays since 2004. 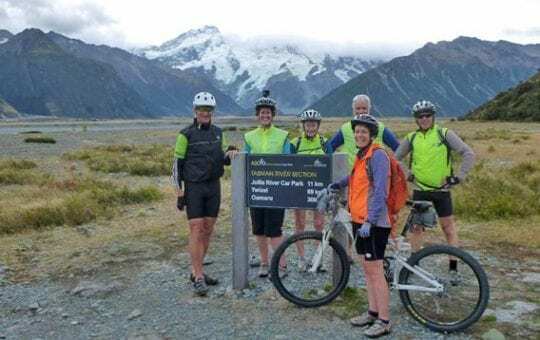 The tour company was established by Hilary Weller and her mother Sue, who were looking for ways to share their love of the wild and beautiful outdoors of New Zealand and NZ bike trails with others. 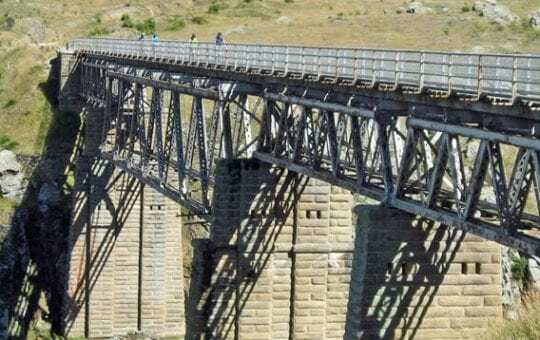 Initially guided walking tours around the South Island were offered as well as a supported cycle tour of the Otago Rail Trail. 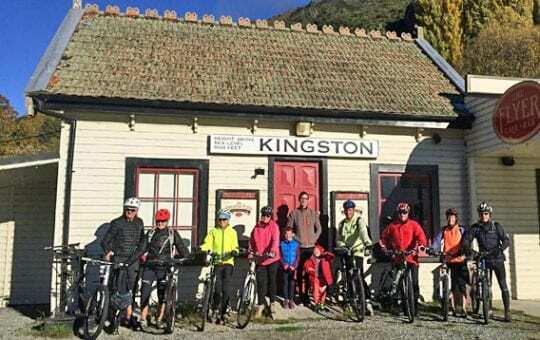 Following the popularity of cycling and the development of new purpose built cycle trails under the guise of the ‘Nga Haerenga – The New Zealand Cycle Trail’, the company developed numerous other South Island cycle trail tours, eventually focusing solely on cycling New Zealand from 2014. PureTrails New Zealand cycle tours are extremely well organised and meticulously planned, ensuring your cycle tour experience is hassle free. Nothing is left to chance. We adopt a casual, empathetic and relaxed approach to daily tour leadership, resulting in an organised yet unobtrusive style of travel. Our cycling New Zealand tours are designed primarily for the senior active traveller. It’s not to say that our tours are any less active, it just means the peer group is much the same age, averaging around 63 years. Most of our guiding team fall into this category too! 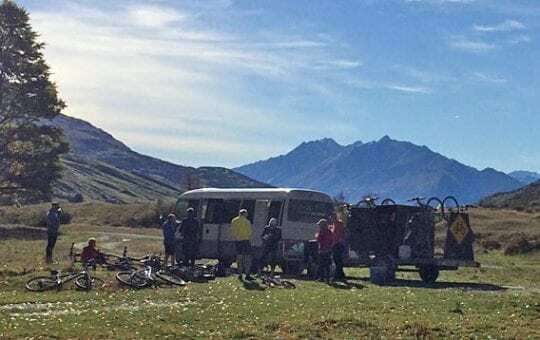 Over the years our business has expanded and we have been very lucky to find some wonderful individuals to help guide our nz bike trails, and develop PureTrails into one of the highest regarded tour operators in New Zealand. Other family members have also joined the team, bringing a lovely family oriented and personable feel to our organisation. We are dedicated to giving you a unique and memorable South Island cycle tour experience, and feel privileged to have this opportunity. We're kiwi outdoor enthusiasts and we know what makes a great holiday. Our NZ cycle tours are well planned, thoughtfully paced, and full of fun and adventure as well as excellent value. Our guides are mature professionals. We live here, play here, ride here, and know the country well. We have many stories to share to add a strong local flavour to your tour experience. PureTrails New Zealand ran their first supported cycle tour of the Otago Rail Trail back in 2004, at a time when coffee was white or black, and wine was red or white and was poured from a cardboard box. 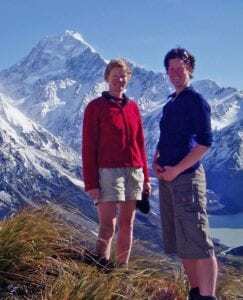 After you travel with Pure Trails New Zealand once you will understand why so many of our guests return time and time again. But don’t take our word for it – read independent reviews from our past guests. Since we began operating our cycle tours in 2003, we have become affiliated with a number of tourism organisations within New Zealand. Check out our Level of Difficulty grading to see which trip is right for you. All of our tours come with full vehicle backup so you are welcome to pick and choose which sections you ride. PureTrails New Zealand pledges financial support to the The Ohau Conservation Trust to tackle wilding trees, other weeds, and possums at Lake Ohau, Mackenzie Country, with a donation of $10 for every person who joins our cycle tours.